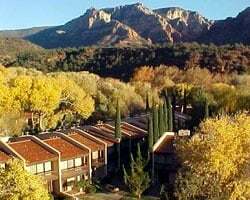 *Arroyo Roble Resort* is at the center of Arizona's Red Rock Country. Located on nine secluded acres, your vacation home is far from auto and pedestrian traffic. 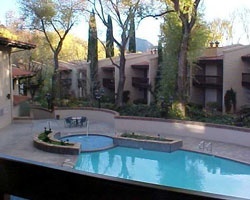 The Resort's beautifully mature, landscaped grounds extend right to the banks of sparkling Oak Creek. Spectacular views, creekside tranquility, and serene beauty will make your visit one to enjoy and remember. There are many geological and cultural treats in and around the Sedona area. From Sedona you're within driving distance of Arizona Snow Bowl for skiing, the Grand Canyon, Kaibab and Prescott National Forests, Navajo and Hopi Indian Reservations, the Painted Desert, and Petrified Forest National Park. 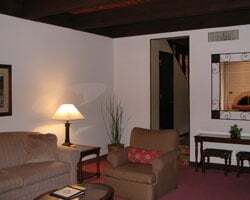 The resort is conveniently situated within walking distance of the heart of uptown Sedona, where activities abound for your enjoyment. Restaurants cater to all tastes and budgets, and exploring the many Southwest galleries and famous shops is a favorite pastime. Family friendly resort with many activities for everyone! Floating week! Buyer may receive a title fee credit, inquire for details! Enjoy staying close to many exciting activities! Floating week every year! Buyer may receive a title fee credit, inquire for details! Enjoy scenic mountain views year round! Buyer May Receive A Title Fee Credit, Inquire For Details! Great location within a short walk to many exciting activities! Buyer May Receive A Title Fee Credit, Inquire For Details! Pick your dates! Great Location Within A Short Walk To Many Exciting Activities! Buyer may receive a title fee credit, inquire for details! Great location! Only a short walk to many exciting activities! Annual floating week! Buyer may receive a title fee credit, inquire for details! Beautiful resort with scenic mountain views! Enjoy being close to many activities! Buyer may receive a title fee credit, inquire for details! Resort features many activities for all ages! Annual floating week! Buyer may receive a title fee credit, inquire for details! 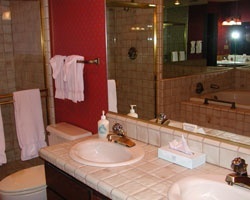 Great resort offering many activities and amenities for all ages! Annual floating week! Inquire for details! Beautiful location! Only a short walk to many of the areas activities! Buyer may receive a title fee credit, inquire for details!